Celebrate Irish heritage with the Molly Malone ornament from the ‘This is Dublin’ collection by Genesis. 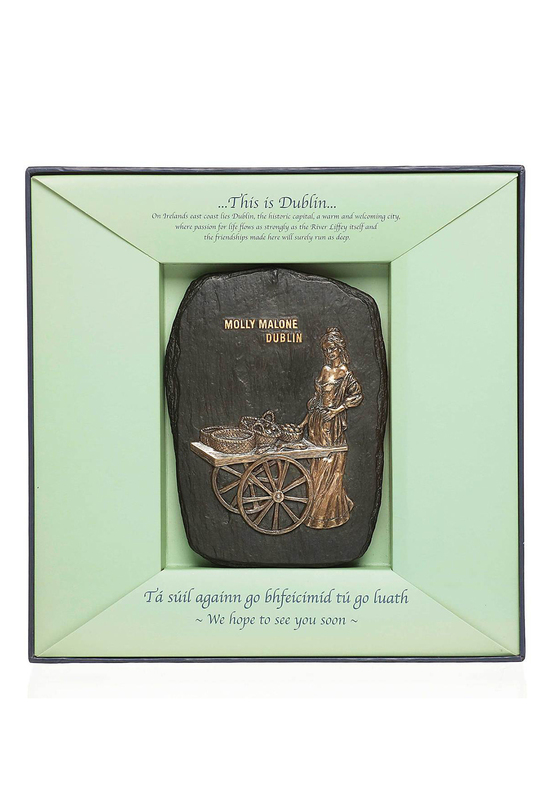 The plaque is crafted from bronze and has a figurine of the famous fishmonger Molly Malone who has a statue to commemorate her near Grafton Street. Designed to be wall mounted or free standing.